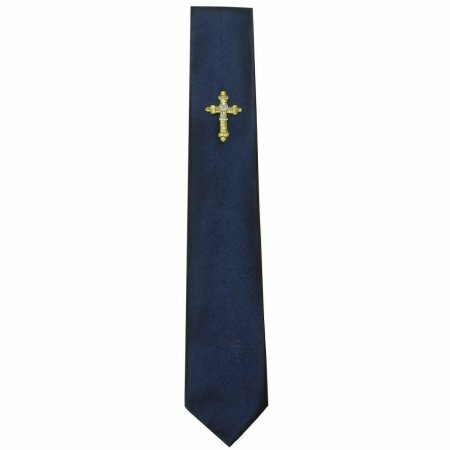 Boys navy tie with a glitter gold cross and silver chalice. Tie is in satin fabric. Length approx 49"/125cm suitable from 5 years upto 16 years.